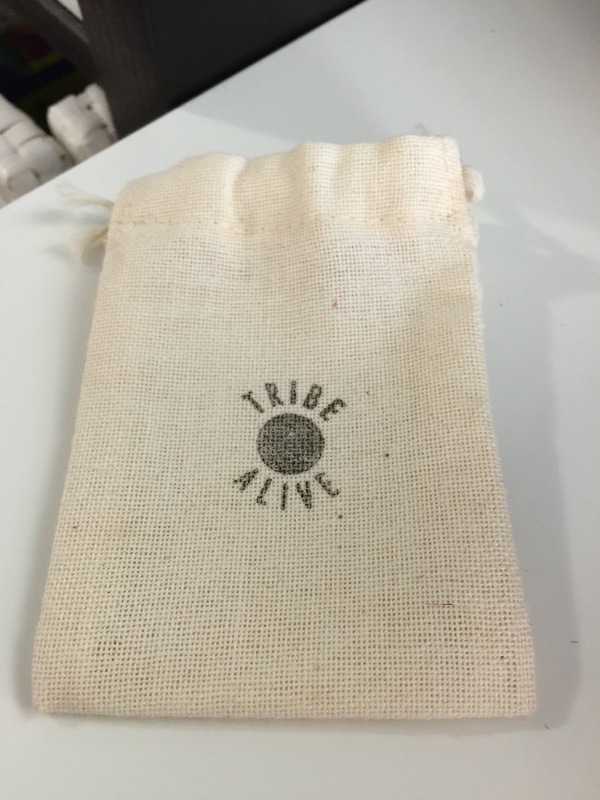 A few weeks ago I wrote about the FabFitFun box, something I dubbed “the ultimately goodie bag” for women. 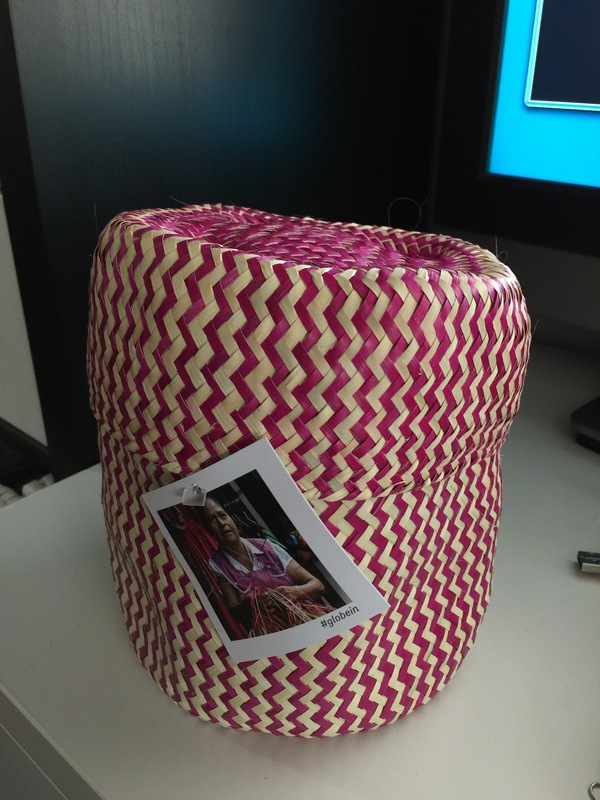 Recently, I came across GlobeIn’s Artisan Gift Box. It also follows a similar model of being “mystery” box where you (or your gift recipient) receive a box in the mail and enjoy the pleasure of opening up being surprised to find what’s in it. And as with other similar boxes, you pay a nominal fee of about $30-35 each box (you can subscribe to 1, 3, or 12 months of surprises), and you invariably end up getting many, many more times the value of what you paid in the merchandise alone, not to mention the intangible worth of the joy of anticipation and the pleasure of opening the box to reveal the surprises that await. 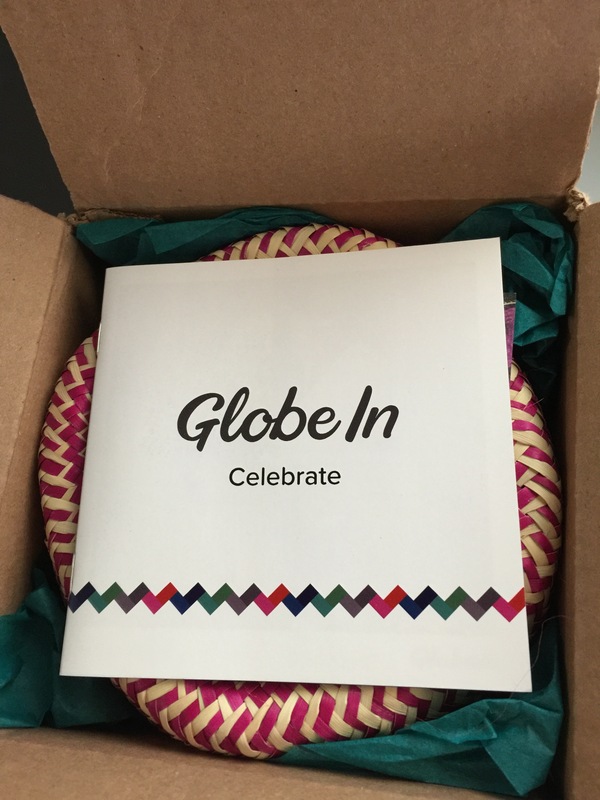 The GlobeIn box features actual handcrafted goods from artisans and farmers around the world, similar to the other kinds of handcrafted gifts and goods I’ve highlighted on this blog. Each box follows a distinct theme. You can choose to be surprised by getting the monthly “surprise” box for $30-35, or they’ll also let you order any of the past boxes for $50. Past “themes” include “Cozy” (a comfortably scarf from Thailand, Cocoa from Ghana, a mug from Tunisia, a basket from Mexico), “Kitchen” (stoneware from Tunisia, a kitchen towel from Guatemala, premium vanilla from Madagascar, premium salt from Peru, coconut sugar from Indonesia, and coffee from Nigaragua). Aside from letting you sample local goods from around the world, every purchase helps support the local artisans and farmers who produce these goods. They work under fair trade conditions, meaning that unlike countries that mass-produce cheap goods under inhumane working conditions, each of these artisans and farmers get a fair, living wage for their goods which in turn helps support their families, their communities, and their local economies, helping to break the chain of poverty and despair. 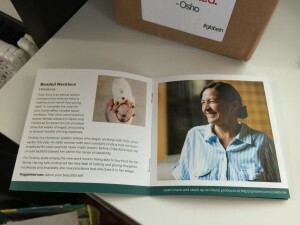 GlobeIn is a remarkable organization that essentially serves as the marketers and distributors for these artisans and farmers. They don’t merely serve as middlemen who box up and ship the products without much thought or care, they add a level of presentation, storytelling and “soul” to these products, which greatly enhances your appreciation of them and ensures that you understand the stories behind those who made them. It’s a phenomenal way to “travel the world” without leaving your house, and to get an appreciation for other cultures. If you have kids, the GlobeIn box is a great way not to just educate them that there’s a whole world out there, but also to give them an appreciation for the creativity and diversity of different cultures. It’s also a good way to teach them values, that sometimes the best products you can find are not always the cheapest ones you find in Walmart produced in countries with oppression and poor human rights records. 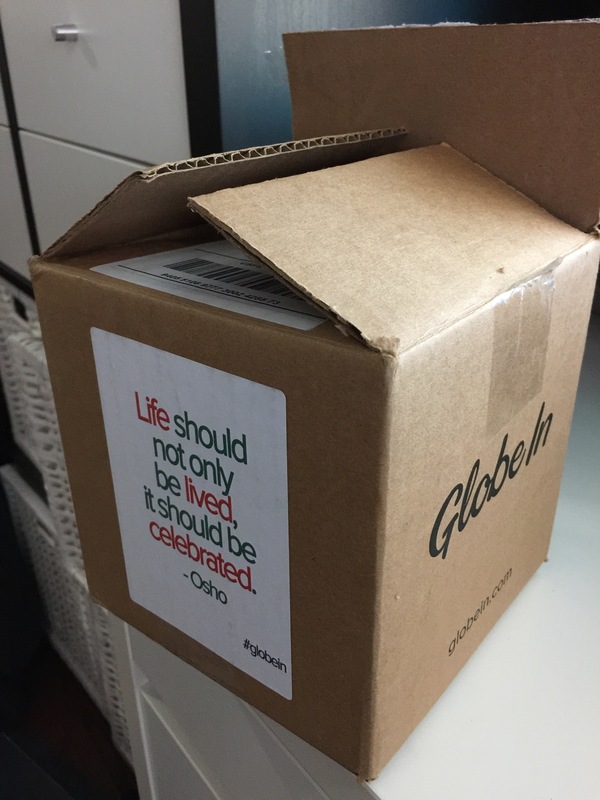 The box itself was a cardboard box with an inspirational sticker: “life should not only be lived, it should be celebrated”. That put me in the right mood to open the box and see what was inside. 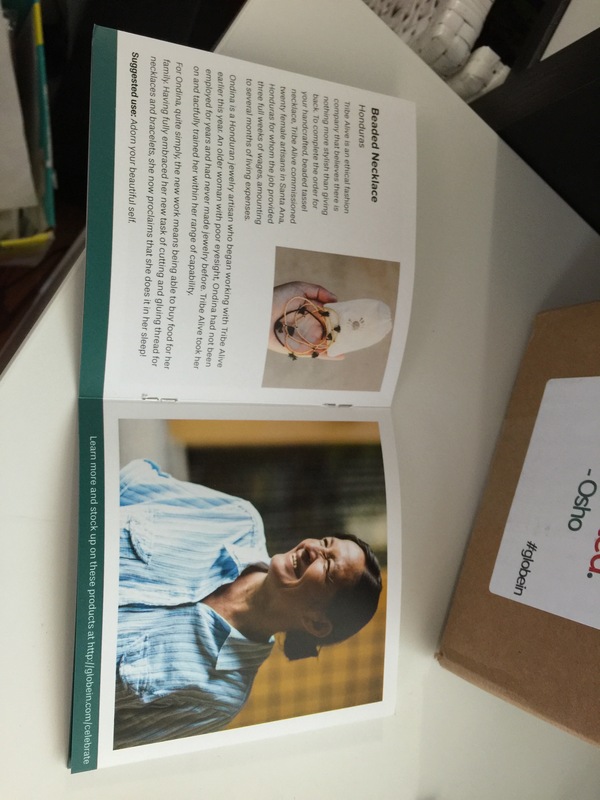 The first thing you see is a booklet that tells the “story” of each of the gifts inside the box. It’s a great read in itself. In it, you’ll read all kinds of interesting stories, from the artisans or farmers who created it, to the process they go through to source and create it, to the great things that purchasing the gifts will do for their families and communities. 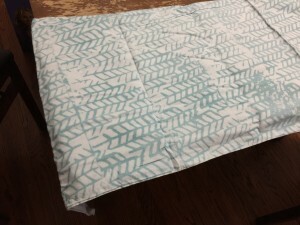 For certain products, it’ll also provide instructions or tips on how to use them. Within the box is this Palm Leaf Basket from Mexico, hand-woven by people of the Mixteca region of Mexico using techniques and skills passed down over generations. A tag on the basket provides a profile of Dona Selerna, the master artisan of a 15-woman collective in the poor town of San Luis Amatian in the mountainous Sierra Sur. These baskets traditionally are sold in local marketplaces, which as you can imagine can be unpredictable and not a stable source of sustenance for these women. But now, the collective produces these baskets for GlobeIn, which has brought them much-needed stability. Inside the basket there were other goodies. 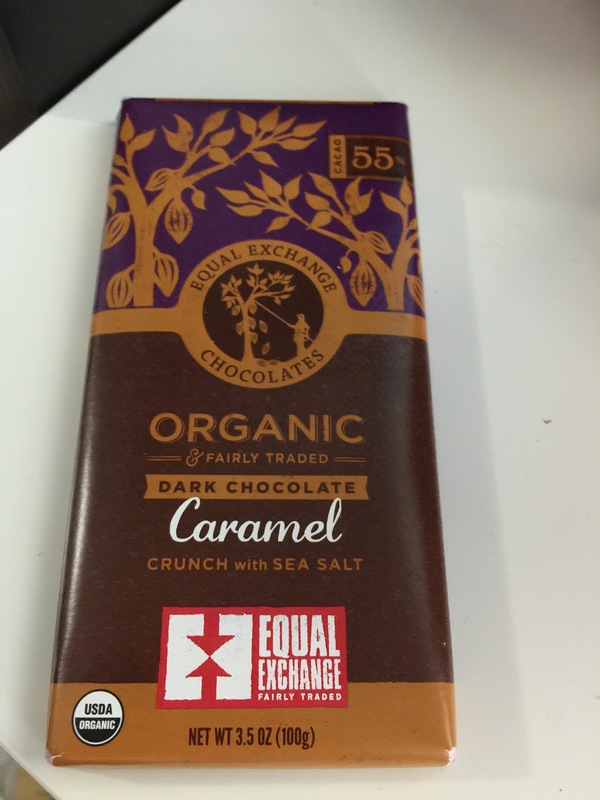 The first one I pulled out was one that excited me the most–it’s a dark chocolate bar produced in Switzerland with cacao sourced from small farmers in the Dominican Republic. This particular bar is organic dark chocolate, caramel crunch, and sea salt. The farmer’s co-op in the Dominican Republic is called CONACADO. This is a case where your purchase isn’t just altruistic alone–by supporting small farmers you also support the sustainable ways they have produced their crops for centuries–fermenting the beans in sunlight after harvesting them to enhance their aroma, flavor, and color, and using rich, earthy compost instead of chemicals and those other things that come as more and more small farms are subsumed by giant agricultural interests. You’ll notice the different in flavor immediately–it’s rich, deep in flavor, what chocolate should taste like vs. the soylent green-like stuff that comes out of mass production. This Muslin bag is out of Haiti. Years of economic hardship and natural disasters have devastated Haiti, but the Haitian Design Co-op in Port Au Prince is helping locals build sustainable livelihoods. This bag is a handy one for jewelry, either to use when traveling, or keeping fine jewelry safe at home. These unique handmade greeting cards and envelopes come from Malawi, from the Umoja Group, an association of people with disabilities living at a refugee camp in Malawi. The cards are beautiful and vibrant and higher quality than even cards you’d find in Papyrus or Hallmark. 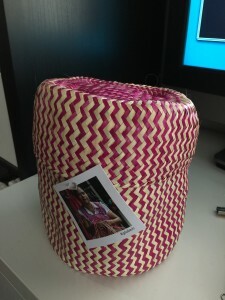 It’s made of recycled handmade paper and repurposed African textiles. Last but not least is this hand-dyed batik table runner which you can drape over your kitchen or dining room table to add a classy accent to your existing tablecloth and further protect the table. 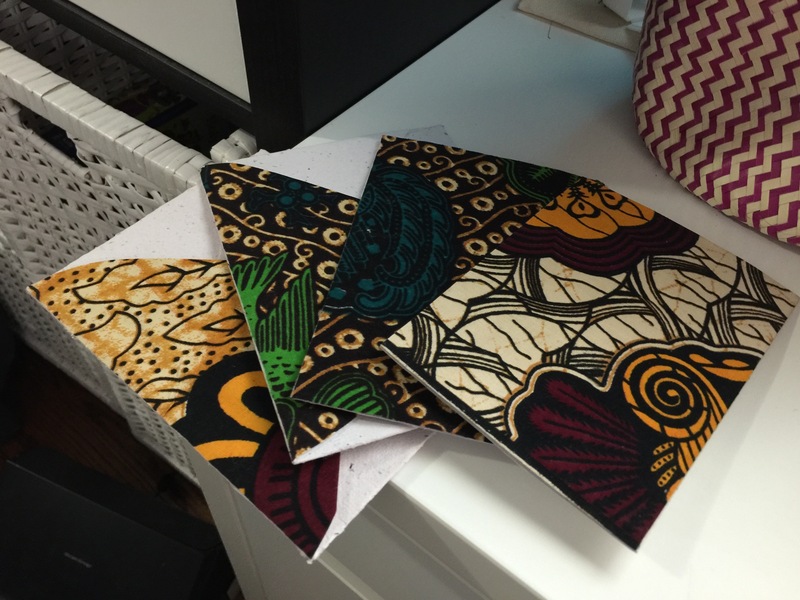 These are made from seamstresses in Ghana working for Della, a socially responsible fashion line that pays fair income and provides educational opportunities to its artisans. Overall, this mystery box was a ton of fun to open, and what make it all the more special was that not only were all the items in it delightful, practical, beautifully handcrafted, and of far, far greater value than the $35 you paid for it, it’s the knowledge that when you buy this box you can know that your purchase is helping hard-working artisans in developing and needy areas around the world earn a living, improve their and their families’ lives, improve their communities, and break the cycle of poverty and despair. Want to learn more? 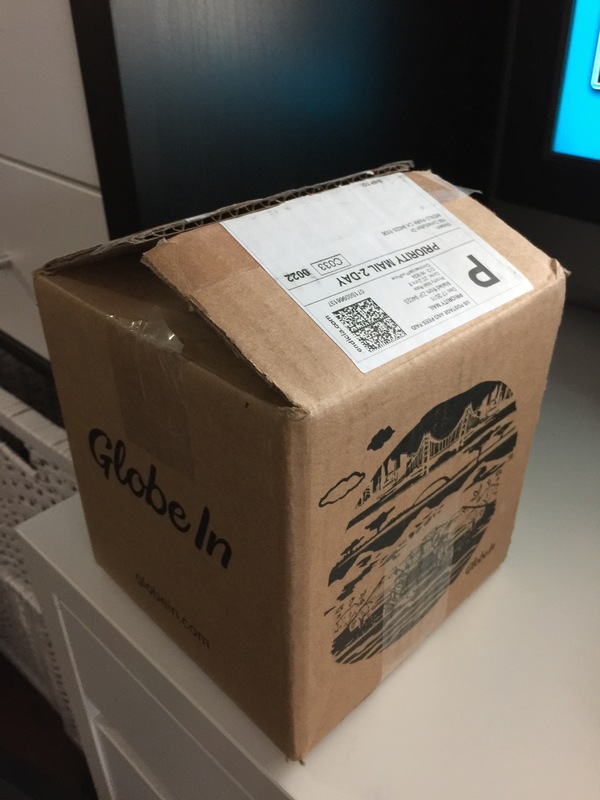 Check out GlobeIn’s site and sign up to get (or better yet, give) an individual box, a three-month subscription, or an annual subscription.